An invader from outer space? A monster from a horror movie? 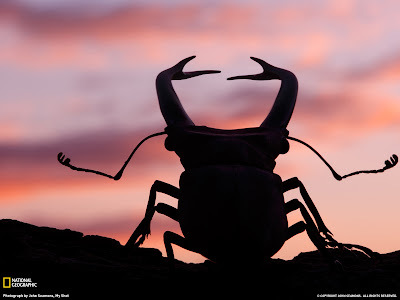 No, its a real Stag Beetle from the island of Sumatra in Indonesia.